Tom Moler, CPA is passionate accountant who loves working at YHB, Tom has been with the CPA side since beginning his career in 1984. He has a B.S. in accounting from Shepherd University and has been recognized as a “Master Rainmaker” by the Rainmaker Academy and a “Super CPA” by Virginia Business magazine. 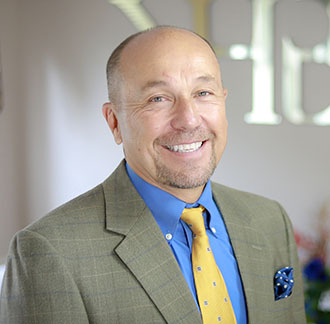 Tom has been with YHB Wealth Advisors since its founding in 2017. Tom is a member of the American Institute of Certified Public Accountants and the Virginia Society of Certified Public Accountants; additionally he served as Chairman of the Board at the Loudoun County Chamber of Commerce and was a former Trustee at the Loudoun Healthcare Foundation. Over the years, Tom has provided a variety of tax and business consulting services to closely held companies, corporations, partnerships, and limited liability companies, with a focus on medical, law, engineering, and consulting firms. In addition to having served on the YHB board of directors, Tom champions our Professional Service Firm team and is heavily involved in developing our Government Contracting practice. As a leader of our firm, Tom is personally familiar with the challenges and issues professional service firms must deal with. Tom uses this experience to help clients with entity selection, tax planning, benchmarking, compensation formulas, forecasting, profitability improvement, and succession planning, including assistance with mergers and acquisitions. His team excels in providing government contractors with financial projections and analysis that helps control costs, improve cash flow and make decisions that advance their success. In providing services, Tom tries to put himself in the client’s shoes and ask himself what he would do to address challenges, increase profitability, and plan for the future. His goal is to become part of a client’s team as an objective, third-party advisor who can help separate emotion from decision-making, so the client maximizes the long-term health of its organization. When he encounters a need that lies outside his main expertise, Tom brings in the right people from YHB to do the job. His measure of success is not how much fee he collects, but how good the client feels about the service his team provides.